Transforming hard cover books into spell journals and secret boxes is an outstanding craft project with a high WOW factor where gilded wax and dime store toys provide a creepy antique effect. 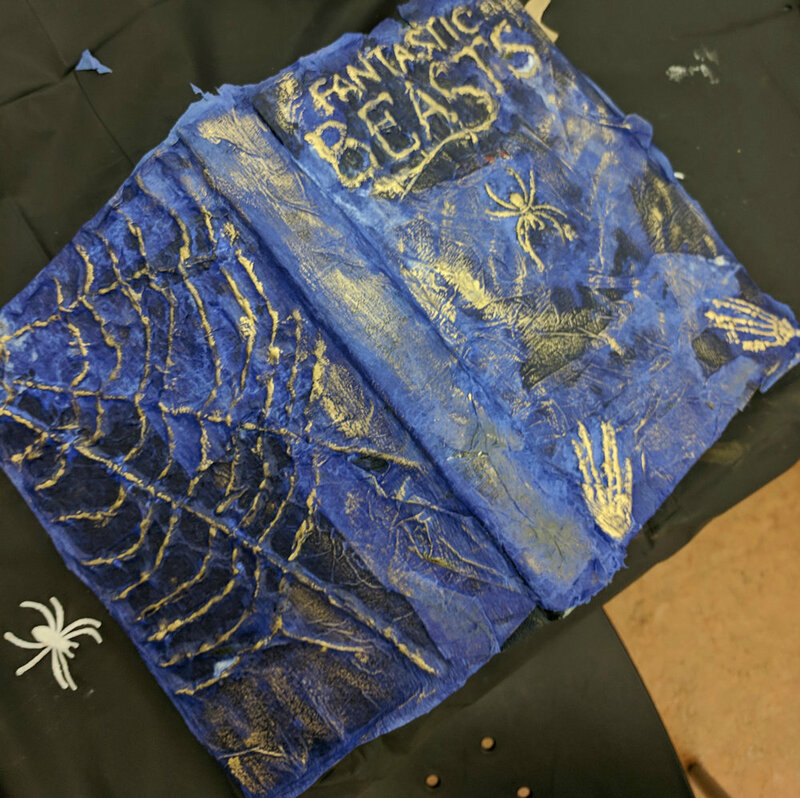 Suitable for ages six through adult this workshop takes about 90 minutes and can be themed around Harry Potter, Lovecraft’s Necronomicon or just something spooky for Halloween. With additional time, the inside pages can be hollowed out to make a secret compartment or invisible ink can be used on some of the pages to create secret messages. My fall 2018 workshop at the Arvada Library had a Fantastic Beasts theme and I brought along extra monster pastries similar to the ones Jacob Kowalski makes at his bakery. Ideal group size for a spell book session is about 15 participants though I have hosted this with larger groups. Photos in the gallery below show some of the process steps along with finished books which students have made.